Vulture reports that Marvel is closing in on a director for the CAPTAIN AMERICA sequel … and that there might be two of them. F. Gary Gray (IMDb), George Nolfi (IMDb), and the sibling team of Anthony (IMDb) and Joe Russo (IMDb) are in the running for the gig, with an announcement arriving as early as mid-April. Between Gray and Nolfi, I prefer Nolfi, whose TWILIGHT ZONE-esque romantic thriller THE ADJUSTMENT BUREAU was one of my favorite films from last year. He also did script work on THE BOURNE ULTIMATUM, which could inform his work on Captain America quite nicely. These are some pretty crazy half hours of television with lots of humor and tons of heart, making me very interested in what these guys could do if turned loose on a big-budget superhero film. The Russo brothers also directed multiple episodes of ARRESTED DEVELOPMENT (including its pilot), which never ceased to astound me with its visual and comedic creativity. Their feature films (WELCOME TO COLLINWOOD and YOU, ME AND DUPREE) may not have any action or adventure, but their body of work is brimming with wit, energy, innovation, and variety. Of course, this means that Joe Johnston is out of a job, following in the footsteps of Jon Favreau and Kenneth Branagh (not to mention the shady dismissal of Branagh’s temporary THOR 2 replacement Patty Jenkins) as Marvel directors not returning for the next installments of the franchises they started. If chosen, the Russo brothers would join new THOR 2 helmer Alan Taylor (IMDb) as primarily television directors given the keys to the further cinematic adventures of Marvel heroes. More news as it happens! 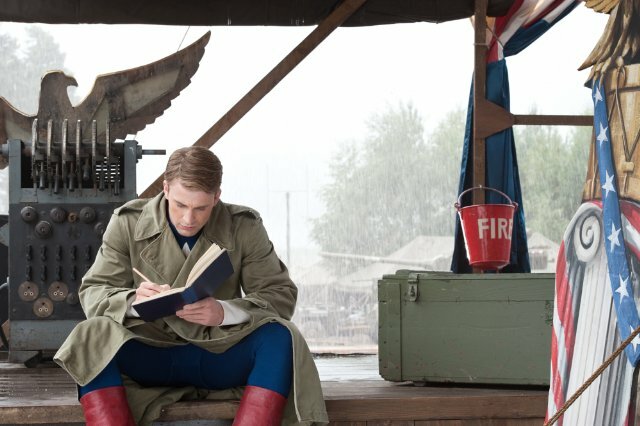 Captain America will be seen in THE AVENGERS on May 4, with his next solo film arriving in 2014.